I just finished this last week. This is one of those that sort of fell together in an unintentional sort of way. Some I set out to create, usually with a body, or head, but it usually starts with a part that will be the body. This one came about just by fiddling with parts, then one thing led to another and this is the result. 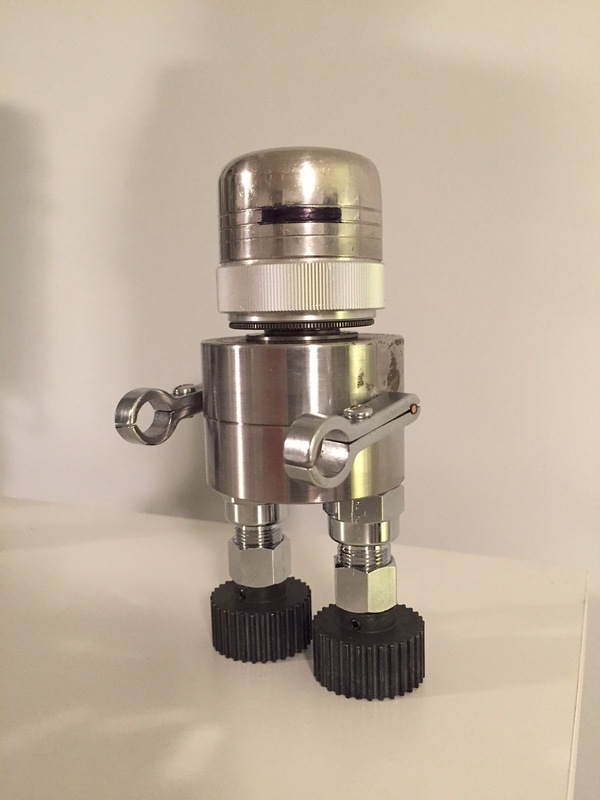 Its about 6" tall, and heavy - the body is made of 2 steel bearing cups held together with neodymium magnets. The head rotates freely and the arms rotate about the shoulder. Kind of reminds me of Gort.